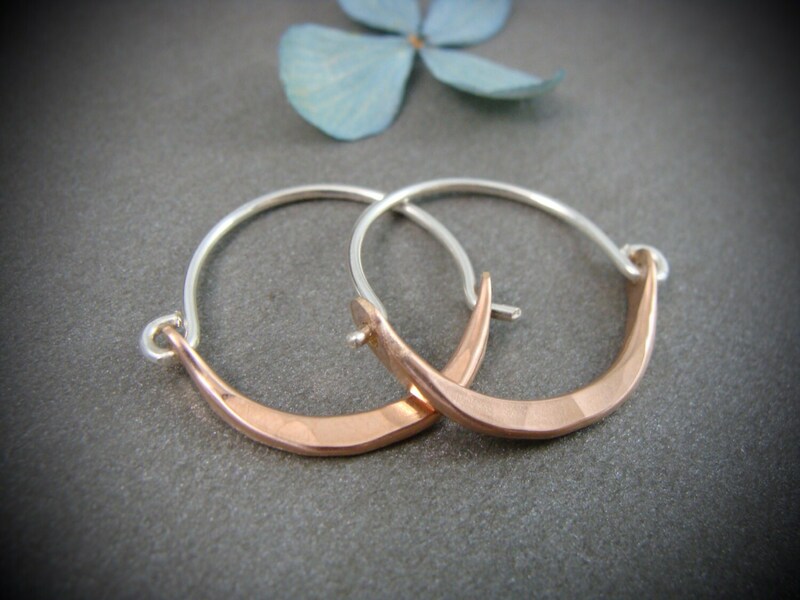 These delicate sterling hoops have been hand formed and connect to a hammered 14k rose gold filled shape. 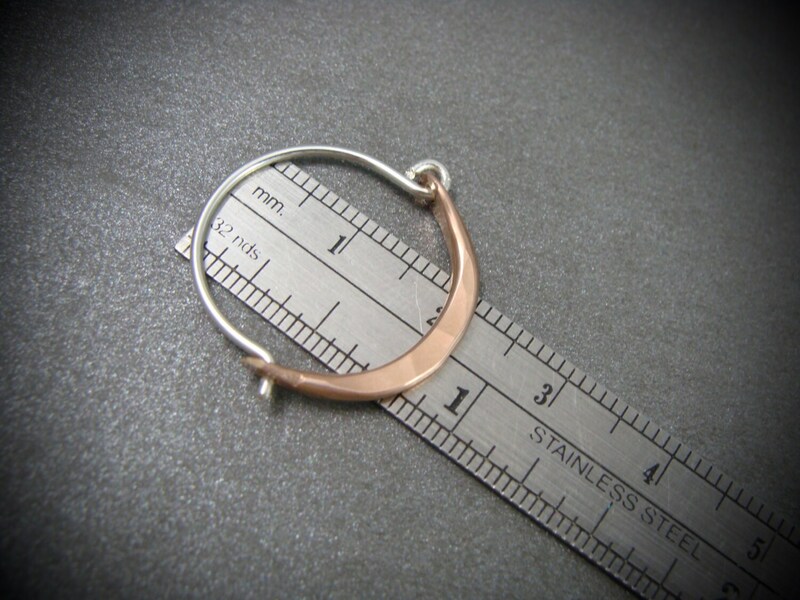 The gold has been flatted to be wider at the bottom and given a gentle curve. 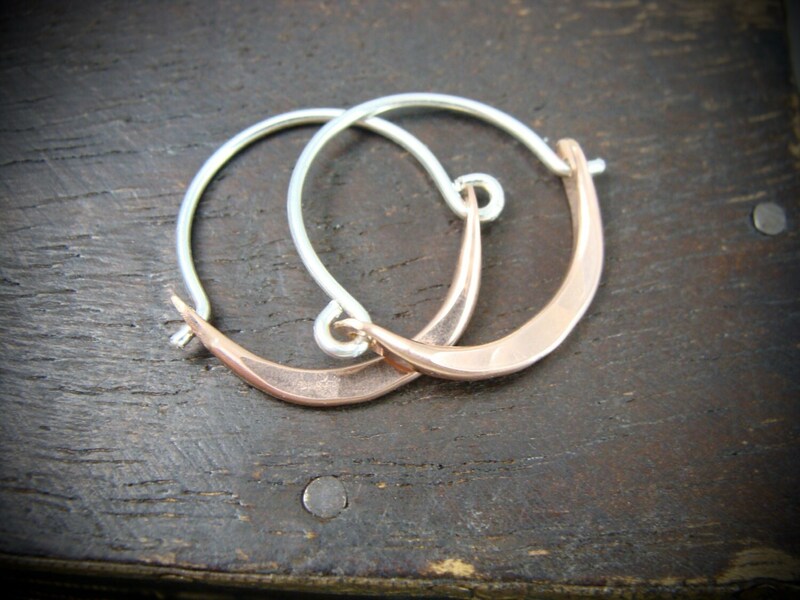 These earrings are 1" wide and will hang just over 3/4" from your earlobe. Unique, simple and perfect for everyday. ☞ Size 1" wide x 3/4"
I love them. Beautiful! I’m wearing them right now. 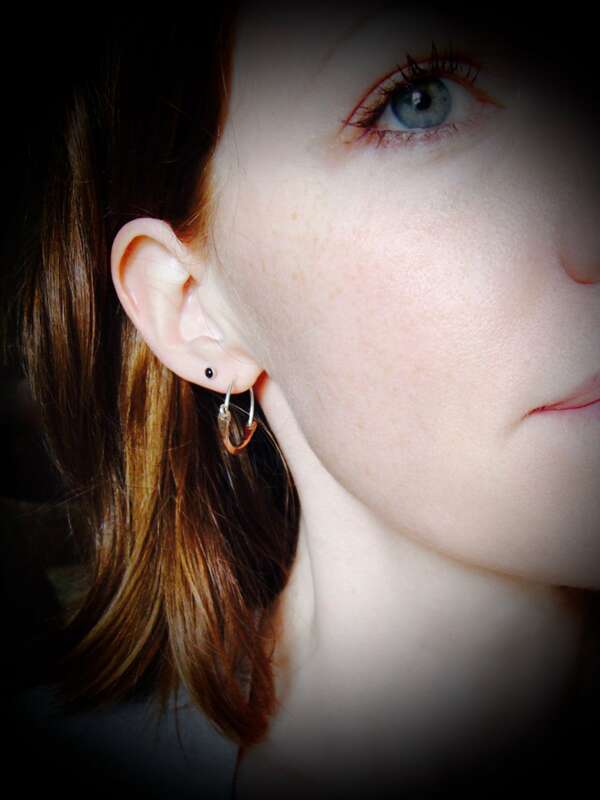 These are my absolute favorite earrings. Just the right size and can go casual or dressy. Just ordered the matching necklace. Highly recommend this artisan!!! Beautifully made, unique, will wear for many years! Lovely earrings, exactly what I had envisioned. Shipping to Canada is a bit pricy, but I always feel that it's more than worth it. 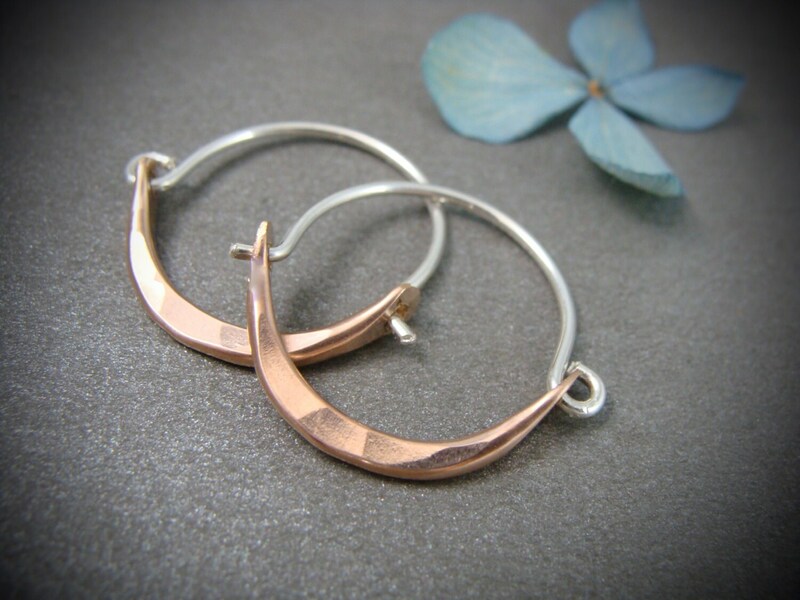 Super comfortable, thoughtfully designed earrings! Perfect for everyday. Thank you!